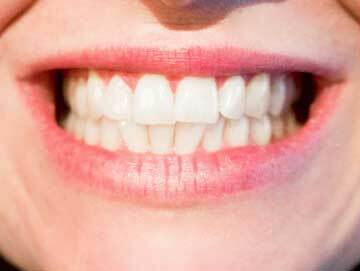 Our teeth and gums need care and nourishment in the same manner as any other body part or organ. We should eat foods rich in minerals, vitamins and other helpful elements to maintain our dental health. A balanced diet is as much important for your teeth and gums as regular oral care. So, eat right and keep dental issues away. Cheese is very helpful for dental health and it should be part of your regular diet. It’s not only a rich source of calcium but also helps lower the acid level in mouth. More eating, including cheese in the diet help you boost the level of saliva production in mouth. Drinking milk regularly means keeping teeth and gums healthy. They are a rich source of calcium and other elements which keep the teeth healthy and stronger. It helps you fight tooth decay by lowering the acid level in the mouth. Eating leafy greens means keeping the teeth and gums healthy. They are rich in calcium, key vitamins, minerals and folic acid that are very helpful for your dental health. So, eat more of spinach, broccoli or kale and maintain your dental health. Both fish and meat are considered very helpful for your dental health. They pack in lots of key minerals and vitamins and even dentists recommend them. So, enrich your diet with meat and fishes to keep the teeth and gums healthy. Oranges may be citrus fruits but they are helpful for your teeth and gums. They are not very acidic in nature and plus, they are packed with lots of important minerals and vitamins. They are too good to be missed in the dental diet. Eating more of yoghurt means keeping yourself away from a lot of potential dental problems. Since they are rich in calcium and probiotics, you keep the risks of gum diseases and cavities away. More so, they even help you fight of bad breath problem. Carrots pack in some of key minerals and vitamins that help keep your teeth and gums healthy. They are not only good for dental health but also for eyesight. So, eat more of carrots and keep your teeth, gums and eyes healthy. Apples are a fruit that every dentist, or doctor, recommends for innumerable health benefits. They are a rich source of key nutrients and vitamins and they add great value to our overall health. Garlic should be a regular feature of your diet if you want to maintain your dental health. It is known for its anti-microbial properties. You can eat more of them and keep gum diseases and tooth decay away. No food help as much as ginger does in fighting off bacterial growth. Above all, it’s also helpful in keeping your breath fresh and foul-free. So, include them in the diet and maintain your dental health. Gum diseases and cavities are fought off by eating onions on a regular basis. They come with powerful antibacterial properties and you should benefit from it. Try eating them raw to get more benefits from them. Sweets potatoes are considered good for your gums. They also help strengthen the enamel and give vigour to your teeth. They are a rich source of vitamin A and including them in the diet means boosting your dental health for sure. In overall, have a balanced diet and eat only helpful foods to keep the teeth and gums away from lots of problems. This is how you can lead a healthy and enriching life for sure. Sid Garg is an expert writer and blogger with a strong passion for writing. He shares views and opinions on a range of topics such as Business, Health/Fitness, Lifestyle, Parenting and lot more. He works for Dental Clinic and helps you find the best dentist bayside NY.